Napa Valley is world-renowned for exceptional wine, farm-to-table cuisine and beautiful landscape. People travel across the world each year to visit the region that has gained so much acclaim over the last 20+ years for not only its wine but the country chic food that shows up on dinner tables every night. 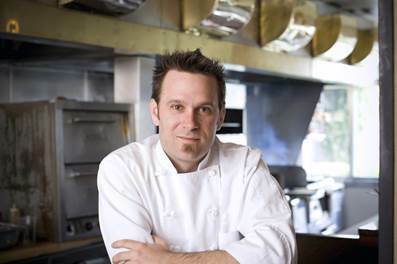 Westwood – home to UCLA – may not resemble the picturesque Napa Valley whatsoever but the dining scene just may with the help of Chef Taylor Boudreaux at Napa Valley Grille. Chef Taylor, working on his new fall menu, prepared a delicious seven course meal for us to enjoy. Taylor was also the star of the night. He worked the room like only a true host could and it brought the dining experience to another level. Not only were we enamored by the menu but Taylor asked us questions, answered questions and gave us more insight into his culinary background. To start off the evening, we were treated to a Sweet Corn Agnolotti dish with mascarpone, beurre fondue and parmesan. It was rich but not too rich, with each bite melting in your mouth. The consistency of the handmade pasta made me realize why dining out is so important. If we were able to create something half as good at home, maybe we would have more nights at the kitchen table but it’s not happening anytime soon. What is bigger than brussel sprouts right now? Maybe the cronut, or the ramen burger but those are simply fads, something we are searching to eat once for the mere bragging rights. Brussel sprouts on the other hand is something we can sink our teeth into on a weekly if not daily night and feel comfortable with that decision. 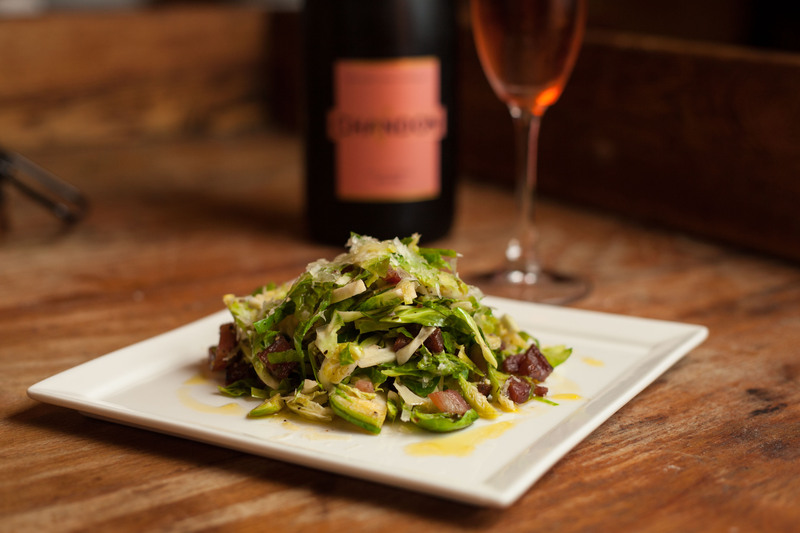 Case in point, the Warm Brussel Sprout Salad with a poached egg, prosciutto to add a touch of salt, a sprinkle of toasted pistachio, manchego cheese and red wine vinaigrette. All great flavors on their own but even better when married. Having spent a lot of time in Maryland during my childhood, crab cakes just come with the territory. If I start listing off every type of crab cake I have had, I might start sounding like Bubba from Forrest Gump. 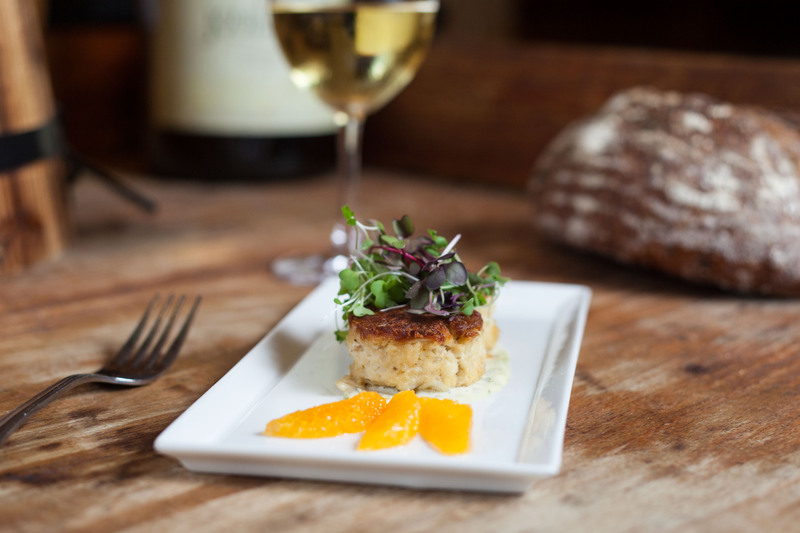 The crab cakes at Napa Valley Grille are very traditional with blue crab, tartar sauce and fresh herbs but with a slight hint of grapefruit. It is definitely refreshing to get East Coast style seafood every now and then when dining in Los Angeles. 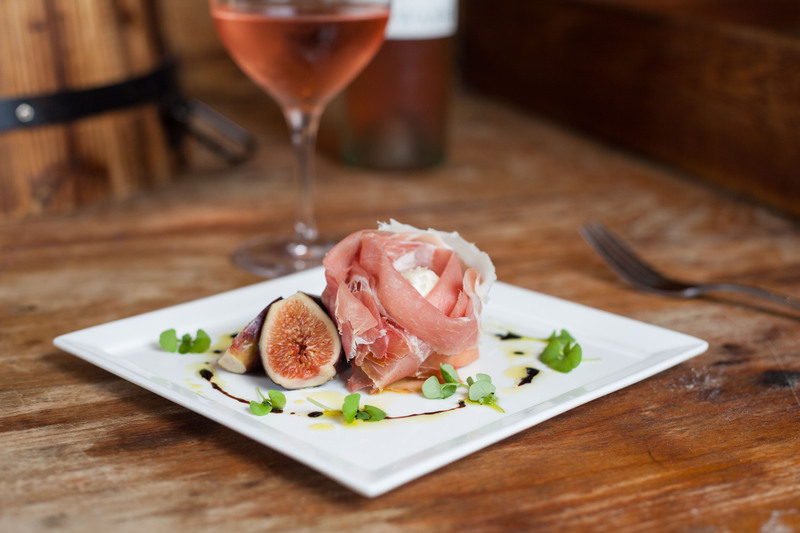 Our fig and prosciutto course was straight to the point and it helped our palates get excited for what was ahead. The richness of the Burrata which it was also served with and saltiness of the prosciutto were perfect together and should always be on the menu if it isn’t already. By now, our stomachs were starting to ask why there were any more courses coming out, especially since we were also eating focaccia throughout the entire meal, or at least I was. That didn’t stop us from devouring the Wild White Sturgeon which came with chanterelle mushrooms, cipollini onions, parsnip puree and buerre blanc. It was my first time having Sturgeon and was very eager to try it. I was expecting a more earthly flavor but to my surprise it was quite similar to Grouper and had a great meaty texture. The buerre blanc was a perfect accompaniment because it helped extract a flavor that was hiding a bit in the fish. I’m not sure if Sturgeon would taste better somewhere else but at Napa Valley Grille, Chef Taylor definitely knew how to make it shine. Our meal was coming to a close but not without another handmade pasta dish. The Lamb Ragu was our last savory dish and it could not have been a better one. As I mentioned, I would have loved to see the Lamb in chunks rather than minced because it was so delicious I wanted a more hearty bite. I absolutely love any dish that has a kick to it and with the red chili flake added, it brought out the flavor even more. Last, but certainly not least, was our dessert. I am certainly not the person to ask when it comes to dessert since I lean towards savory dishes rather than sweet but the three bite size pieces looked fantastic and that was echoed by everyone who was actually enjoying them. I’m not sure if I was even coherent at the time of dessert but I was able to take a bite of each and give them a major thumbs up!